Two recent international publications have put the spotlight on the situation of worldwide provision of palliative care. These are the “World Cancer Report,” published by the International Association of Research in Cancer (IARC) and the “Global Atlas of Palliative Care at the End of Life,” published by the WHO in collaboration with the World Wide Palliative Care Alliance. The “World Cancer Report” reminds us that the war on cancer has not been won and that still much remains to be done when treatment fails. “The Global Atlas of Palliative Care at the End of Life” highlights the need for more palliative care: It estimates that 19.2 million people worldwide require palliative care with about 38 percent of patients dying from cardiovascular diseases, 34 percent of cancer and 10 percent of COPD. In the remainder, specific diseases such as multiple sclerosis (MS) and Parkinson’s are mentioned, and although less important on the global scale, patients with MMD/ALS. The atlas highlights the worldwide skewed distribution of palliative care services and access to palliative care depending on income and geographical regions worldwide. They conclude that palliative care is a human right, and that therefore each country should take improvement of palliative care up as a national strategy. In some countries, it starts at the beginning: the access to opioids. A few weeks ago, a well-known Russian military committed suicide, stating in his final letter, that he did so because of an unbearable pain due to cancer and that he was not able to get opioids. Some countries are proud of their drug protection programs, which also means that they protect cancer patients from getting the right drugs at the right time. Here, a sensible political balance has to be reached. Opioids, of course, are important for the treatment of pain as well as the treatment of dyspnea. Provision of multiprofessional high-skilled palliative care follows those basic tenets. 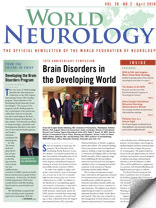 So what does this mean for neurology? Cancer patients, cardiovascular patients and specific neurological diseases are treated within the responsibility of neurologists worldwide. As the atlas also states, their estimates only refer to patients at the end of their lives. The concept of early integration of palliative care has now fully reached the oncological world with the ASCO stating that all cancer patients should have access to palliative care. So, the need for palliative care is even greater than stated in the atlas, which the authors fully acknowledge. So where is the relevant interest in neurology? Do all neurologists worldwide know what palliative care structures already exist in their neighborhoods? Do they refer refer patients there early enough for common management of patients and families? Where is the topic of palliative care in the training of neurologists worldwide? Where are the neurologists who help establishing palliative care structures in their region? Where are the ones who advocate for a national palliative care strategy including all relevant patient groups? And finally, where is the interest of moving the field forward by valid research? Still, many neurologists think this in an unscientific topic not relevant to them, and that is a pity — mainly for many patients worldwide suffering not only from devastating neurological diseases but also from clear palliative care mismanagement by their neurologists. 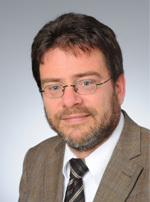 Voltz is chair of the Department of Palliative Medicine at the University Hospital of Cologne, Germany.